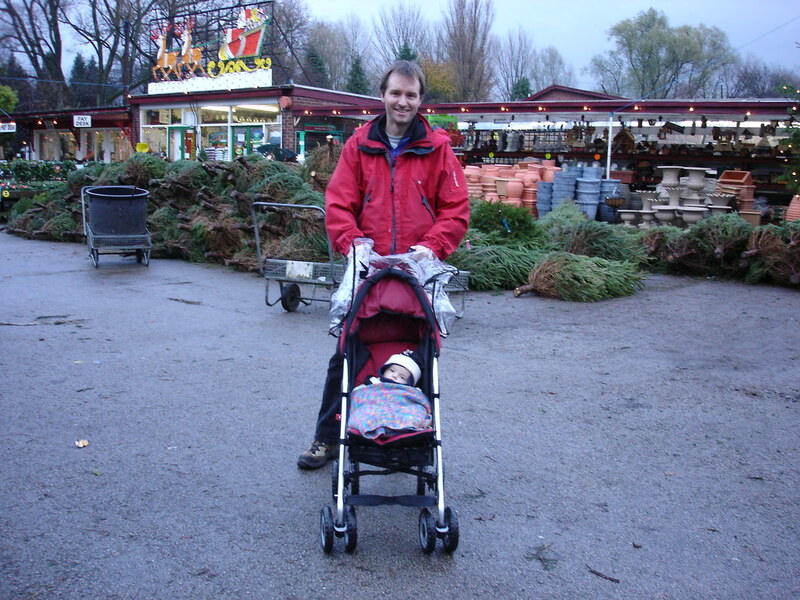 We all took a trip to Brookside Garden Centre near Poynton to buy our Christmas tree. As well as having the expected wide range of plants on sale, it also has a mini railway that runs around its grounds and lots of old railway memorabilia (station signs, etc.). We bought a real tree as we love the smell: it's an essential part of Christmas! We took it home and decorated it with baubles, tinsel and flashing lights before waiting to see Oliver's reaction. He seems to like it, but he still probably just prefers the TV!